I hope my happiness idea for the day can add a little optimism to your life. It’s based on my new book Bright Side Up: 100 Ways to Be Happier Right Now. See, the way I look at it, happiness isn’t about the situation we’re in, but how we see and feel about the situation we’re in. So if we can see our situation from a more positive perspective, we can be happier right now without really having to change a single thing! Do the can-can. Here’s what I mean. There are so many things on your To-Do list that by the end of the day, looking at all the things you “can’t” squeeze in, it’s easy to start focusing on the negative: You can’t find the time, can’t stick to the diet, can’t find the energy, can’t find your keys, and now you can’t stop thinking about all the things you can’t do! And we all know that once you’re making that list, it can start to overwhelm you. It's natural for us to think about what we can't do. But what if you flipped the list? Because you'll have an entirely different experience when you ask, instead what you can do. Do the can-can. And marvel when you realize this: the list of what you can do is so much bigger than what you can’t! You can’t find the time to make homemade applesauce this week? Well, you can find the time to give the kids apples…and pears and oranges and bananas. You can’t do the diet every day, but you can do it five days this week, which is better than none at all! You can get a lot done, you can give your family what they need, and you can be proud of surviving a crazy week with all the little cans you’ve accomplished along the way. The next time you hear yourself talking about the “can’ts” do the can-can again, and dance your way to a more positive perspective. I hope this helps you see your next challenging situation Bright Side Up! And hopefully, you’re already feeling a little happier right now. If you want more ideas on how to see the positive, check out BRIGHT SIDE UP: 100 Ways to Be Happier Right Now (Perigee), full of practical strategies for seeing our everyday challenging experiences from a more positive place. To read free chapter excerpts from the book and watch the one-minute book trailer, go to brightsideup.com. 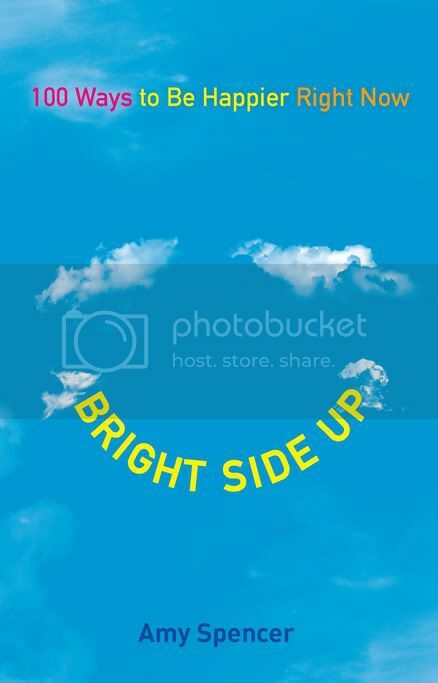 For positivity on the go, get the companion iPhone and iPad app BRIGHT SIDE APP! And follow me on Twitter at twitter.com/datingoptimist. It's amazing how thinking positive can affect you! I'm really a firm believer of looking at the bright side and be grateful for what you have. Counselor, Baker, DIY, Reader, and all things Family. $700 Winter Blast of Cash Giveaway Event is here! Find the best online deals with dealnews! Winter Blast of Cash GIveaway sign-ups are open! Free RecipeLion Valentine's Day eCookbook!